A comedy-drama about the American dream in the 20th century, Forrest Gump is an irresistible romp through pop culture history with one simpleton who is always in the right place at the right time. 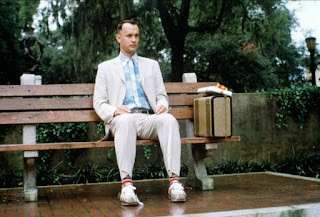 The film is mostly told in flashback, with Forrest Gump (Tom Hanks) sitting at a bus stop recounting his story to a succession of strangers next to him. Born in rural Alabama, Forrest has a low IQ of 75, but his mother (Sally Field) does all she can to make sure he feels normal and gets a decent education. As a child Forrest is hampered by a bent spine, and his only friend is Jenny, an almost angelic schoolmate growing up in an abusive household. While avoiding bullies, Forrest discovers that he can outrun anyone, and his speed becomes his ticket to a college education, where he becomes a star if clueless football running back. He then joins the Army and serves a tour in the Vietnam War, where he meets Lieutenant Dan Taylor (Gary Sinise) and fellow Alabaman Bubba Blue (Mykelti Williamson), a wannabe shrimp fisherman. Forrest's simple outlook on life help him to become a battlefield hero, and after the war he finds success first as a table tennis champion and then as a shrimp businessman. All the time Forrest tries to maintain contact with Jenny (Robin Wright), the one love of his life, as she joins the cultural revolution and struggles to overcome the shadow of her childhood. An Eric Roth screenplay adaptation of a Winston Groom novel directed by Robert Zemeckis, Forrest Gump is an easy to digest lesson in the art of seizing the sometimes ridiculous opportunities of life. Forrest remains true to core principles derived from a rural upbringing and a saint of a mother, and reaps the benefits from always doing well for others. Both funny and poignant but never demanding, the film is a smooth balm of reassurance that the American dream works even for idiots, as long they carry good intentions and retain human values. Riding a steady Tom Hanks performance that mixes naive whimsy with the positivity emanating from believing the best about every situation, the film paints with the broad brush of nostalgia from the 1960s and 1970s. 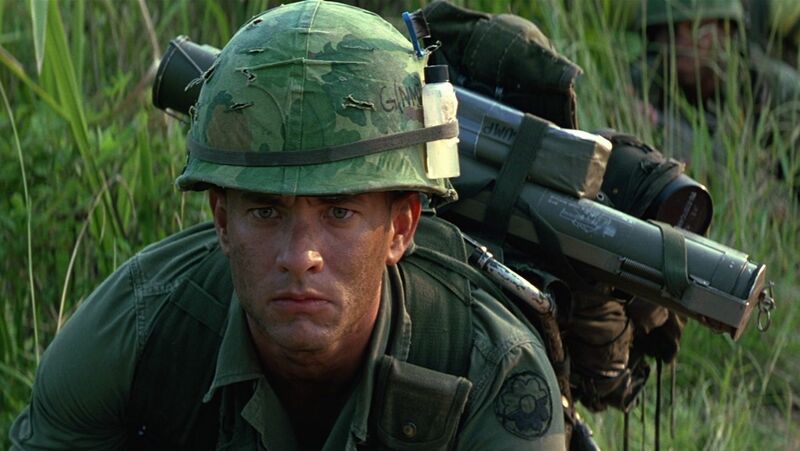 Forrest somehow finds himself over a 20 year period an unlikely hero on the college football field, in the Vietnam jungle, in the thick of the Cold War, in the world of business, and helping to define the cultural zeitgeist. It does not take a genius to positively shape global events much less the lives of others, and in the process of contributing to history, Forrest becomes a regular and celebrated guest at the White House. In an early deployment of clever CGI, Hanks as Gump is seamlessly inserted into many historical film reels, interacting with the likes of Presidents Kennedy and Nixon. Despite a longish running time of over 140 minutes, Zemeckis never lingers on any one chapter. 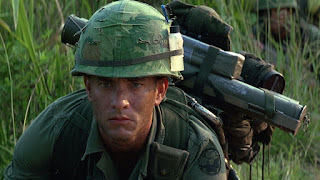 Highlights include the childhood scenes with Forrest's mother doing everything she needs to do to get him enrolled in school, and an epic Vietnam War firefight that sets the stage for Forrest's heroics and long-term future business success and friendship with Lieutenant Dan. Late in the film Forrest simply goes for a run; a really, really long run to leave the past behind and come to terms with the thing called life. The impossible, long-distance candle of love that Forrest holds for Jenny ties the film together. Forrest unwittingly ends up a winner at everything that he doesn't intend to do, but his singular intention to win her love proves to be the toughest challenge of his life. Robin Wright brings Jenny to soulful life with plenty of angelic pragmatism, a victim of abuse whose life was spun into the wrong orbit at an early age and never quite recovered. Forrest Gump succeeds not only as a story of a man who rises above his lowly station to achieve remarkable success; but also because it lingers on the heartache of a woman severely damaged in childhood, struggling to hang on despite the constant devotion of her one true friend.